A component to allow users to input text. flat - flat input with an underline. outlined - input with an outline. If true, user won't be able to interact with the component. The text to use for the floating label. Whether to style the TextInput with error style. Callback that is called when the text input's text changes. Changed text is passed as an argument to the callback handler. Underline color of the input. Whether the input can have multiple lines. 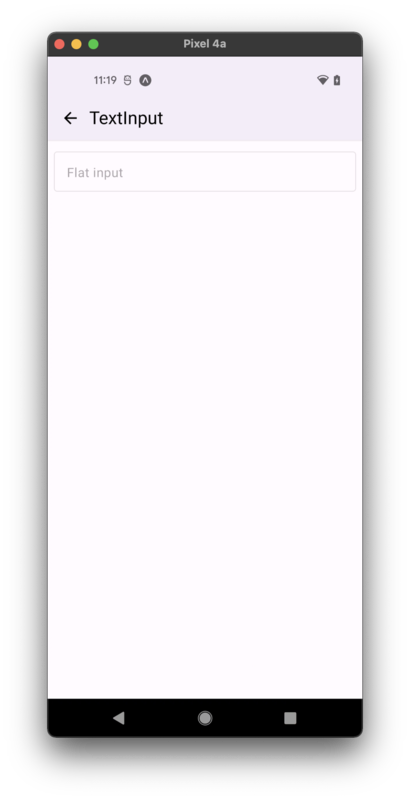 The number of lines to show in the input (Android only). Callback that is called when the text input is focused. Callback that is called when the text input is blurred. 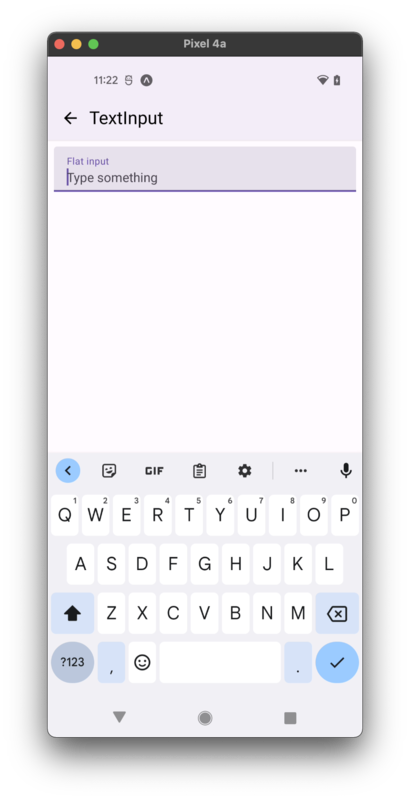 Callback to render a custom input component such as react-native-text-input-mask instead of the default TextInput component from react-native. Value of the text input. These methods can be accessed on the ref of the component, e.g. textInputRef.isFocused(...args).